If it weren’t for the “BRAIN” in Alpha BRAIN, the product could easily be mistaken for a gym-enhancement product. For one, it has big buffman Joe Rogan’s name all over it. Plus, the site has “extreme!” athletes coloring its pages. Nootrobox doesn’t mess around with any of that. It’s entire design & appeal opts for a more minimalistic, iPhoney, Silicon Valley-y vibe. This is a nootropic stack seemingly for the tech nerds. In terms of appearance, I find Alpha BRAIN & Nootrobox equally cool, sporting what I consider to be equally impressive formulas. Perhaps you do, too, which is why you came to this review for an answer. I definitely have an answer for you. But it may not be all that definitive. 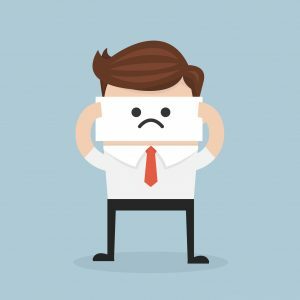 Nootrobox or Alpha BRAIN: Which is better? Nootrobox Rise on the left, Alpha Brain on the right. Click here for easier-to-read Nootrobox ingredients in my full product review. We have the “cool guy” extreme-o Alpha BRAIN up against the nerdy tech-geeky Nootrobox, which you may think I’m biased towards as a geek, but come on… I’m an individual woah-man *SNAP-SNAP*! RISE: The slickest of the two, supports learning, memory, & focus with two adaptogenic herbs and one well-researched nootropic choline donor. SPRINT: Less slick for its reliance on caffeine, yet SPRINT complements this caffeine well with relaxing L-Theanine. Together, these stacks are intended to work as brain-healthy nourishment (RISE) and focus-spiking mood boosts (SPRINT). I like this as it supports both brain structure & function–i.e. health & cognition. Not that caffeine is the healthiest way to go about spiking alertness, but Nootrobox provides smart, healthy caffeine by stacking it with L-Theanine, B vitamins, & RISE. Read my in-depth review on Nootrobox. Flow: Thanks to L-Theanine & Oatstraw, Flow promotes “flowing mental states” through optimizing Alpha brain waves. Plus L-Tyrosine helps alleviate stressful conditions. Focus: Two of these are also in Nootrobox: Alpha-GPC & Bacopa. Hup-A is a fine addition to these for its support of focus-enhancing brain chemicals. Fuel: Vinpocetine provides the fuel by increasing cerebral circulation. Leucine is questionable, but makes sense as an anabolic amino, whereas Pterostilbene is a potent neuroprotecting antioxidant. Yet, the ingredient that steals the show here is AC-11, a branded form of Cat’s Claw that’s entirely unique to the Alpha BRAIN formula. You can’t find this extract anywhere else. Whether or not Cat’s Claw actually provides significant nootropic benefits remains to be seen, but I like it’s addition here as an X-factor ingredient that may elevate Alpha BRAIN among the elites of nootropic products. Read my in-depth review on Alpha BRAIN. The diversity of both stacks seems to cover both sides of the brain. The ingredients shared between these formulas: B6, Bacopa, Alpha-GPC, and L-Theanine. RISE + SPRINT Stacks: The two stack formulation is both appealing & annoying for allowing the user a choice in supplementing either one, while increasing the overall cost. Bacopa Monnieri (50% bacosides): One of the best herbs for learning & memory, in addition to its use as an anti-stress adaptogen. Rhodiola Rosea (3% rosavins, 1% salidrosides): An even better adaptogen, perhaps the best, for its well-demonstrated anti-stress effects on fatigue, focus, & performance. Caffeine: Not a nootropic, but a reliable boost in jittery energy (offset, thankfully, by SPRINT’s L-Theanine content). AC-11® Cat’s Claw: The biggest mystery ingredient in this formula, and an extract only found in Onnit products. Phosphatidylserine: Great nootropic situated in the Flow blend. PS is of my favorite brain boosters with benefits even recognized by the FDA. How often does that happen? Vinpocetine: Another highly valuable nootropic for its benefits on cerebral circulation. Pterostilbene: Supports long-term brain health with its antioxidant neuroprotective bio-effects. Better antioxidant than the similar Resveratrol compound. Non-Caffeinated: I’m counting this as a plus as Alpha BRAIN takes more nootropic measures on brain energy, rather than cheap caffeine. In terms of Potency & Quality, none of these products are perfect. What’re you hiding from us, Onnit? In fact, Alpha BRAIN immediately enters this section in the red for its use of proprietary blends, which obscure the individual dosages of every ingredient outside of B6 and Cat’s Claw. Granted, most of these dosages look solid, or at least adequate to cover all of the nootropics used here. But it’s still annoying all the same. Nootrobox, on the other hand, shows all of its dosages, which also look adequate. The RISE formula in particular is impressive for its 900 mg split evenly across three nootropics (300 mg per nootropic). How elegant. Plus the 100 mg of caffeine isn’t an overwhelming amount, at least compared to some stacks that supply upwards of 200 mg to 250 mg of caffeine. Even so, Nootrobox’s reliance on caffeine diminishes their creativity in finding nootropic measures to boost brain energy naturally, which is exactly what Alpha BRAIN’s quality Vinpocetine & Hup-A extract do. The L-Tyrosine is also nice for this, but could be upgraded to the more potent N-Acetyl-L-Tyrosine. Because Alpha BRAIN only describes its extracts as “extract,” it’s hard to ascertain the true quality of its herbs–whereas Nootrobox the % standards of Bacopa monnieri & Rhodiola. As far as I know, both products are using equal quality Bacopa, but I won’t know until Onnit tells us. All-in-all, Nootrobox gains a slight edge here for demonstrating more potency, quality, & all-around transparency than Alpha BRAIN. Nootrobox & Alpha BRAIN are of equal value. Don’t worry, this isn’t a cop out on having to make a judgment call. 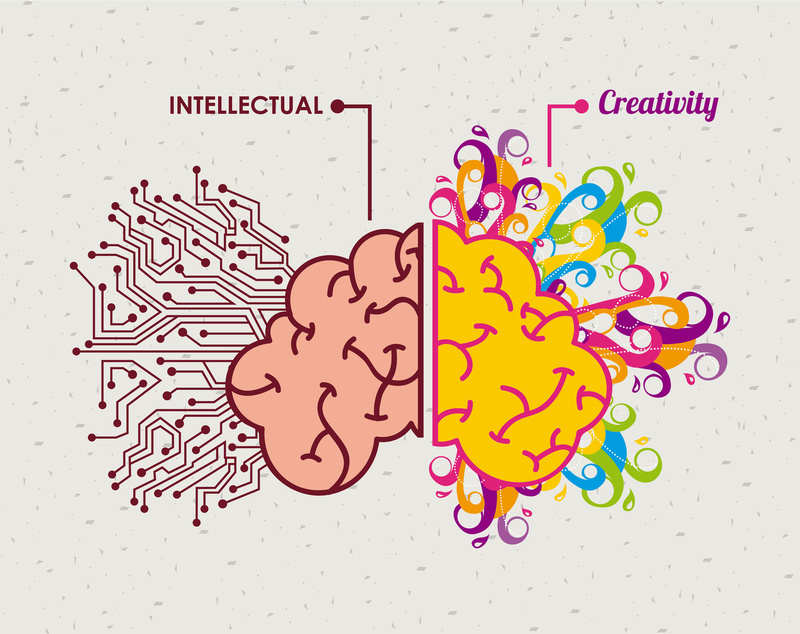 Because I do believe that there is a better nootropic stack between these two–or at least one of these stacks I find personally more appealing than the other. But in terms of value, both supplements are equal. 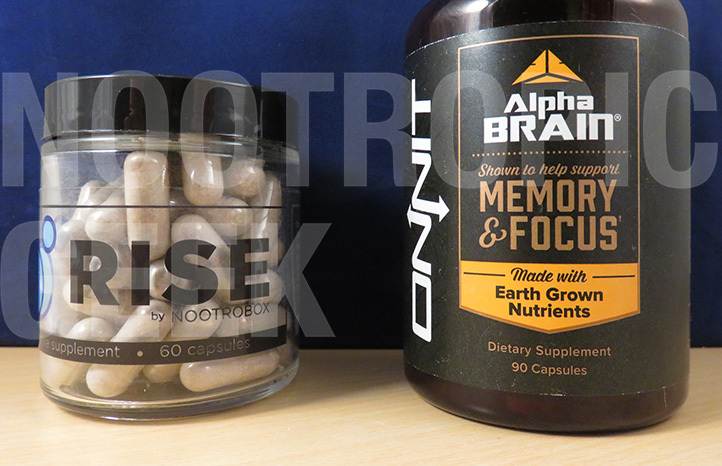 Nootrobox focuses on brain chemicals, yet Alpha BRAIN also provides a lesser degree of neurotransmitter support. Alpha BRAIN focuses on brain waves, yet Nootrobox also provides a lesser degree of brain wave support. Any attribute that one product excels in is either matched or covered adequately by the other product. Likewise, depending on how you supplement the RISE & SPRINT stacks, both formulas are within a relatively equal pricing range. With that in mind, you can’t go wrong with either of these products. I like Nootrobox. I realize appearances aren’t everything, but Nootrobox simply appears better. 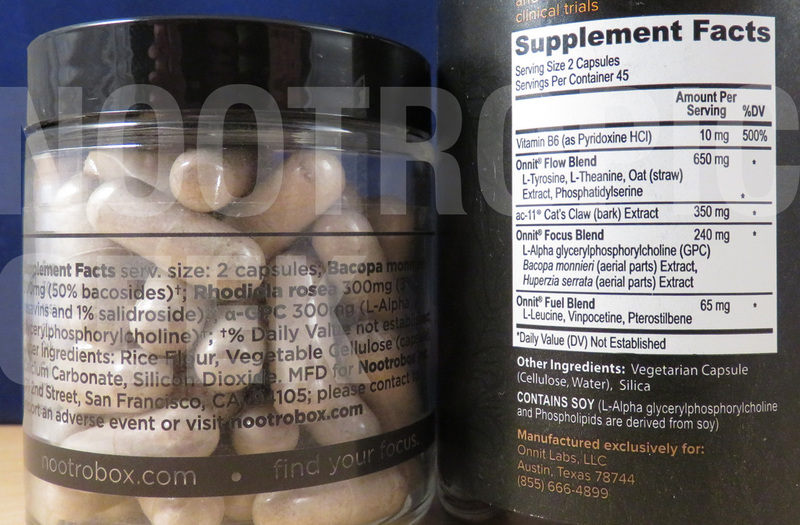 Namely with regards to how it transparently labels its ingredients: Everything on the Nootrobox supplement facts is openly display, including the individual ingredient dosages. Alpha BRAIN, on the other hand, went with the ol’ proprietary blend tactic. This in my book is enough to end on the wrong side of a tie-breaker. Not that I have a complete lack of trust in Alpha BRAIN’s formula. Onnit has an awesome track record as far as clean, quality supplements go. Which is why I’m somewhat surprised to see them go with prop blends, considering how unpopular they are in the eyes of consumers these days. Which is why I’m ultimately siding with Nootrobox in this one.